Good morning. It's a great pleasure to join you today for the opening of SPARK: The Science and Art of Creativity. I must say I'm delighted with the British Council's pitch-perfect choice of venue. 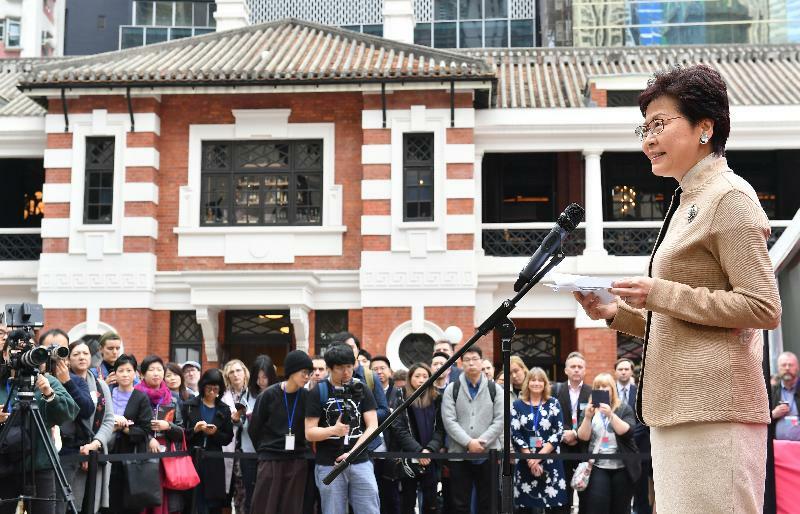 Tai Kwun, the former Central Police Station Compound, is now a centre for heritage and arts, a dynamic new Hong Kong cultural landmark. And Tai Kwun is not only the venue for SPARK but also the subject of a featured event. The UK's Purcell, one of three architectural firms behind Tai Kwun's revitalisation, will lead walking tours here, detailing how old and new have come together - and so remarkably well - at Tai Kwun. The Tai Kwun architectural and heritage spotlight is one of more than 30 events taking place here over the next three days and nights. Each has been designed with surpassing creativity involving some 200 UK and Hong Kong artists, scientists, academia and innovators from more than 50 universities and cultural institutions. I am truly impressed. Of course, it's not the first time Hong Kong has been dazzled by British ingenuity. Just last March, Hong Kong's Asia Society hosted the GREAT Festival of Innovation, smartly presented by the UK Department for International Trade. These and many other such events speak of the longstanding and long-rewarding relations that exist between the economies and the people of Hong Kong and the UK. Such relations are set to get even closer in the future. I visited London in September 2017 as the Chief Executive to attend the Hong Kong Dinner, which is an annual tradition celebrating the ties that bind us in government and business, in culture, history, education and many other aspects. During my trip, I met with many senior government officials, members of parliament, businessmen, education professionals, etc, and set in motion many collaboration initiatives between Hong Kong and the UK. Last March, Dr Liam Fox, Secretary of State for International Trade, visited Hong Kong. Aside from opening the GREAT Festival of Innovation, Dr Fox signed a joint statement on closer collaboration in trade and economic matters with our Secretary for Commerce and Economic Development, Edward Yau. Then, last September, Chief Secretary for Administration Matthew Cheung signed an MOU on Cultural Co-operation between Hong Kong and the UK while visiting London. Last month, I officiated at the opening ceremony of an exhibition at the Hong Kong Science Museum. "Treasures of Time" is jointly organised by the Hong Kong Science Museum, the Science Museum, London, and Beijing’s Palace Museum. The "timely" exhibition displays about 120 rare mechanical clocks and watches from the Palace Museum collection; most were tributes from Europe presented by Western missionaries to the Qing court. Among the exhibition highlights is a workshop depicting 18th century Europe. That workshop, I'm pleased to note, was brilliantly recreated with tools and equipment provided by the Science Museum, London. This fabulous exhibition illustrates that Hong Kong offers the best platform for cultural exchanges between East and West. For SPARK, we have the British Council in Hong Kong to thank. 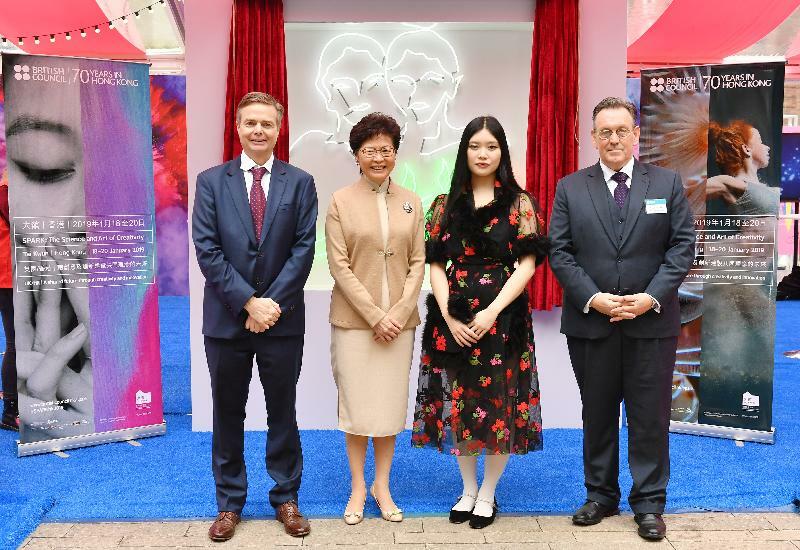 The British Council has been instrumental in presenting the best of British culture and education in Hong Kong since 1948, more than 70 years ago. And I still vividly remember Antony Gormley’s Event Horizon, showcased here by the British Council and brought to us a few years ago, which truly amazed many with Sir Antony Gormley's life-size sculptures. SPARK today is no exception. The Festival's four themes – Creative Cities, Art meets Science, Altered Realities and Future Skills – have been designed for people of all ages. But they will no doubt resonate in particular with our youth, offering insight and inspiration that could well lead to creative career choices – in culture and the arts, the sciences and education. I have said on many occasions that Hong Kong's future is predicated on our young people, their talent, their vision and their innovative spirit. So I am grateful to the British Council for bringing SPARK: The Science and Art of Creativity, to Hong Kong. SPARK reflects Hong Kong-British co-operation at its finest. SPARK is about creating connections, about finding innovative ways for the people of Hong Kong and the UK to excel. I look forward to many more cultural exchanges between us. Ladies and gentlemen, I wish the Festival a resounding success, and everyone a New Year blessed with health, happiness and boundless creativity. Thank you very much.